Soybean production in Brazil grew rapidly since 1960 with area expanding from 400,000 hectares to 22 million hectares. Brazil is a major soybean producer-62 million tons per year. In 2001, soybean rust was first detected in Brazil and by 2003 the pathogen had spread to the entire country with yield losses up to 75% in individual fields. 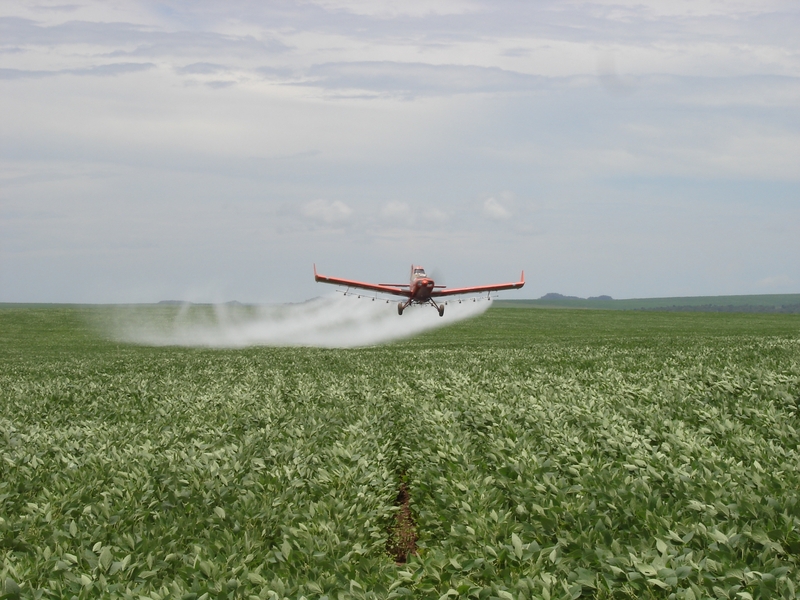 If fungicides are not used, Brazil would lose about 50% of its soybean production annually. “More than 50 different fungicidal products are currently labeled for managing soybean rust in Brazil, and many of these have been evaluated annually since 2003/2004 in a nationwide network of standardized, uniform field trials (UFTs) coordinated by Embrapa Soja, a research unit of the Brazilian Agricultural Research Corporation. We present a meta-analytical synthesis of the results of 71 uniform fungicide trials containing 930 entries (specific fungicidal treatments) conducted in Brazil from 2003/2004 to 2006/2007. …on average, fungicide treatments… increased yield by 43.9%. Authors: Scherm, H, et al. Affiliation: Department of Plant Pathology, University of Georgia. Title: Quantitative review of fungicide efficacy trials for managing soybean rust in Brazil. Source: Crop Protection. 2009. 28:774-782. Brazil: The World’s Future Rice Bowl? 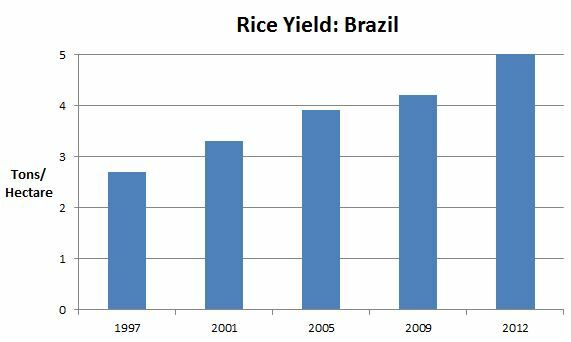 For the past several years, Brazil has caught much of the attention of the global rice market. The large increase in rice production in Brazil, its expanding share in the international rice markets and its highly valued quality rice have made it recognized as a major player in the global rice market. Herbicides have played a major role in the increase in rice production in Brazil. Authors: Goulart, C. G. R., et al. Affiliations: Federal University of Rio Grande do Sul, Brazil. Title: Distribution of weedy red rice (Oryza sativa) resistant to imidazolinone herbicides and its relationship to rice cultivars and wild Oryza species. “Tropical soda apple (TSA) is an invasive weed of agricultural and natural areas in Florida. The plant is native to South America and was first found in south Florida in 1988. Its spiny foliage and stems are unpalatable to livestock, and dense stands of this prickly plant often grow into large impenetrable thickets. In some areas of central and south Florida, TSA has covered entire pastures, rendering them unusable for grazing livestock. Some have called this weed the “plant from hell”. Authors: Salaudeen, T., et al. Affiliation: College of Agriculture, Florida A&M University. 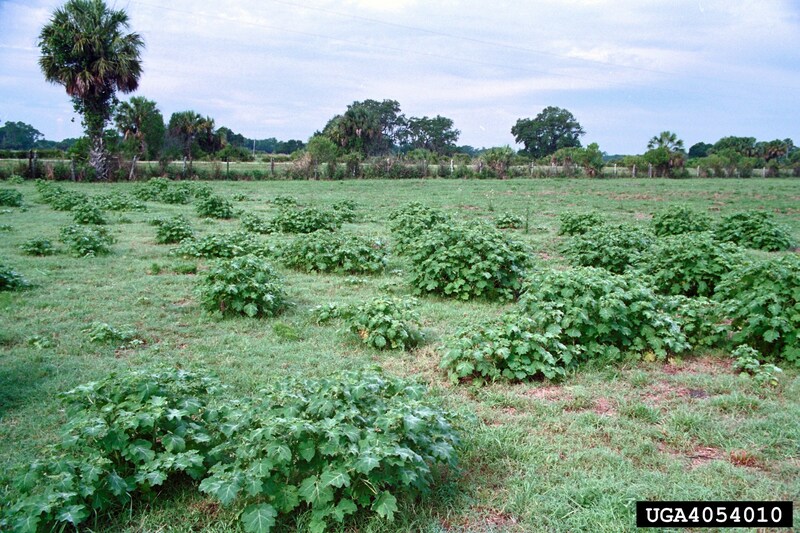 Title: Economic impact of tropical soda apple (Solanum viarum) on Florida cattle production. Source: Weed Technology. 2013. 27:389-394. In 1999, about one-third of the vineyards in Temecula Valley, Riverside County, California were destroyed due to Pierce’s Disease which is caused by a bacteria transmitted to grapevines by an insect-the glassy winged sharpshooter. The disease seemed destined to spread throughout Southern California. However, research demonstrated that a carefully-timed insecticide application would prevent the sharpshooter from transmitting the disease to grapevines. As a result of this insecticide use, the wine grape industry in Southern California has recovered and is prospering. “Twelve years ago a Pierce’s disease epidemic in Southern California wine grapes prompted a multi-pronged local, state and federal attack to contain the disease spread and find a cure or treatment. 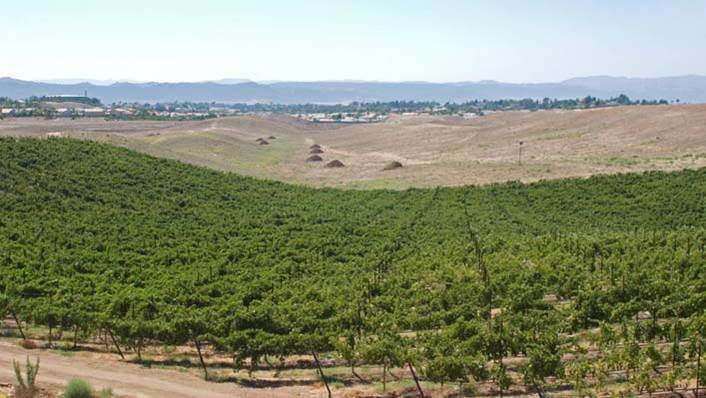 Riverside County agriculture officials declared a local emergency in 1999 and 300 acres of Temecula wine grape vines were destroyed after they were found to be infested with the glassy winged sharpshooter. Emergencies were declared, a task force was formed, and in 2000 $22.3 million in federal financial assistance was secured to reduce pest infestations and support research. Research found that the Southern California epidemics were almost entirely the result of vine-to-vine transmission…. A protocol of applying one carefully timed application of a persistent systemic insecticide such as imidacloprid virtually eliminates the vine-to-vine spread. Ben Drake is a Temecula-area wine grape grower and vineyard manager who began seeing problems from PD in the Temecula Valley as early as 1997. We’ve found that if we apply (imidacloprid) at the middle to the end of May, before the sharpshooter moves out of the citrus and goes into the vineyards, we get levels of the material into the plant high enough that when the sharpshooter flies over from the citrus groves to try it, they just fly back where they came from. Or, if they feed long enough, it will kill them. Asian soybean rust (ASR) was first detected in the continental U.S. in 2004 in Louisiana. Before the discovery in the U.S., the yield losses caused by ASR in many parts of the world were devastating. In South America, especially in Brazil, yield losses ranged from 10 to 80%. Funding was made available for a network of ASR sentinel plots that would serve as an early-warning system for the presence of the disease. Sentinel plots are planted two to three weeks earlier than commercial fields. If ASR is found in a sentinel plot, this is a signal to scout surrounding fields. The growth difference in sentinel and commercial fields allows growers and farm advisors time to make decisions. If conditions are optimal for the rapid spread of ASR (warm and humid), the solution is treatment with fungicides. “Soybeans and wheat made an awesome economic combination for growers in the Southeast this year, creating plenty of optimism for profits from this year’s beans and optimism for planting more of the crop in 2013. Even the earliest appearance on record of Asian Soybean Rust did little to slow down what is shaping up to be one of the best soybean crops on record in some parts of the Upper Southeast. Rust was detected along a southern tier of North Carolina counties on Sept. 12, but Mother Nature, a well-coordinated system of sentinel plots, and timely actions by growers stopped rust in its tracks. Though the disease was documented on Sept. 12, in North Carolina, the earliest on record by three days, it appears there will be little damage to the state’s 1.65 million acre soybean crop. Duplin County, N.C., Extension Agent Curtis Fountain says once the disease was detected in counties less than 100 miles from his county, growers quickly reacted and applied fungicides when needed. Publication: Southeast Farm Press, December 5, 2012. 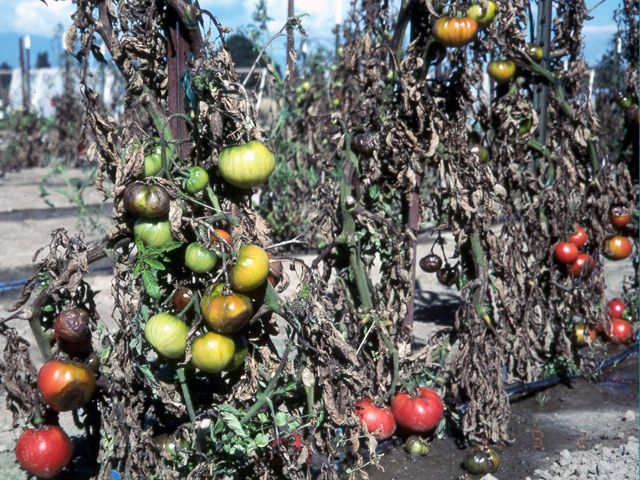 The late blight fungus infects both tomatoes and potatoes. 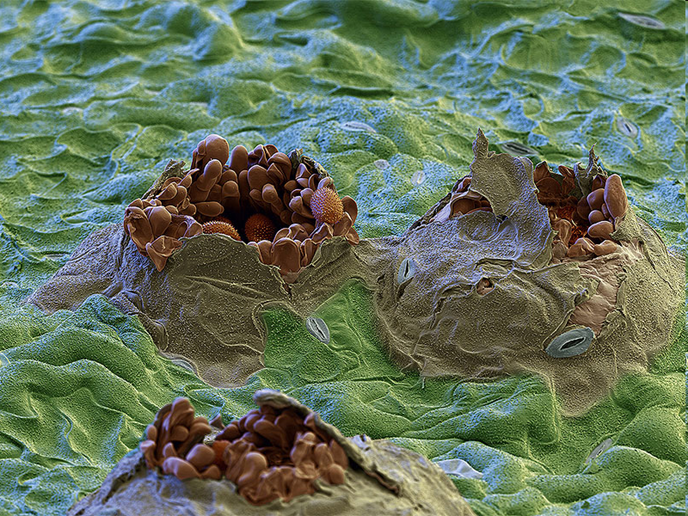 The fungus attacks all the aboveground parts of the plant. Infected foliage becomes brown, shrivels, and soon dies. When severe, all the plants in a field may be killed in a week. On tomato fruit, greenish brown greasy spots develop and can cover the entire tomato. 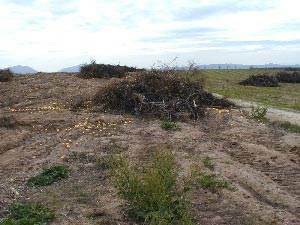 Decaying vines can be identified by a foul odor. Environmental conditions in Brazil are ideal for the development of the disease. Title: Sensitivity of Brazilian isolates of Phytophthora infestans to commonly used fungicides in tomato and potato crops. Publication: Plant Disease. 2005. 89(12):1279-1284.